Mostly sunny skies. Becoming windy during the afternoon. High 87F. W winds at 5 to 10 mph, increasing to 20 to 30 mph..
A few clouds. Low 56F. Winds SW at 15 to 25 mph. 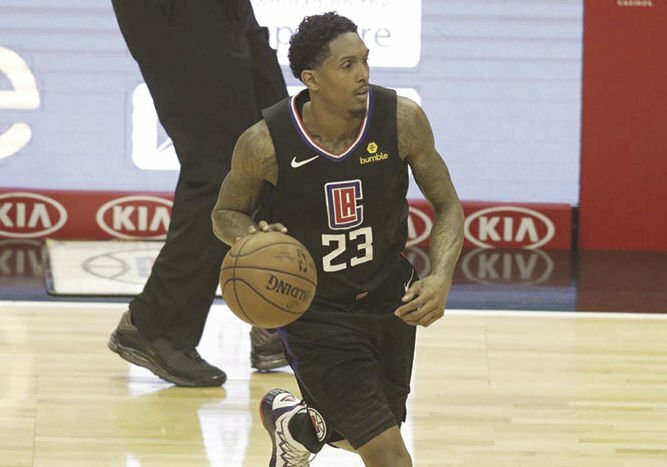 Winning — The Clippers’ Lou Williams dribbles the ball up the court against the Chicago Bulls in Los Angeles on Friday. L.A. won 128-121. 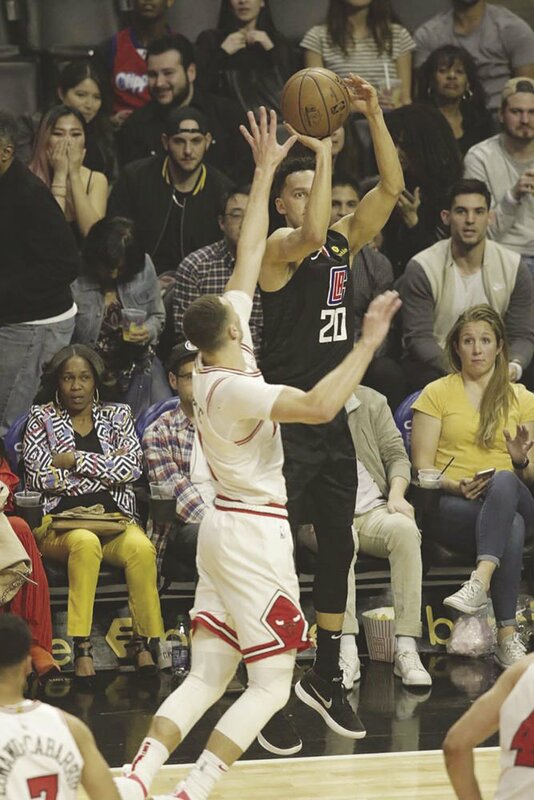 Shoot it — The Clippers’ Landry Shamet shoots over a Bulls defender during Friday’s game at Staples Center. LOS ANGELES — Danilo Gallinari scored 27 points, Montrezl Harrell added 26 and the Los Angeles Clippers rallied in a third quarter that saw both coaches ejected for arguing to beat the Chicago Bulls 128-121 on Friday night.